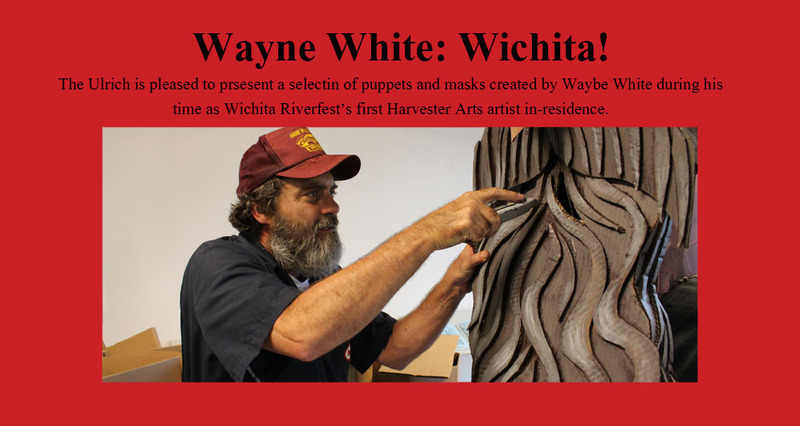 The Ulrich is pleased to present a selection of puppets and masks created by Wayne White during his time as Wichita Riverfest’s first Harvester Arts artist-in-residence. Among other events during the 10-day residency, White worked with local artists to build several large-scale puppets for Riverfest’s Safelite® AutoGlass Sundown Parade and conducted public mask-making workshops for anyone interested in walking with him in the parade. The puppets are on view in the Ulrich Underground through July 12. Expand your artistic experience. Each month, the Ulrich Museum of Art invites you to bring your lawn chair, relax in the scenery of the Wichita State University campus, and enjoy Art For Your Ears! Concerts are located at McKnight Outdoor Plaza (between the Ulrich Museum and the School of Art, Design and Creative Industries) on the WSU campus. Art For Your Ears begins with a local trio comprised of Nikki Moddelmog, Shane Marler and Dennis Hardin performing soulful melodies and their unique blend of jazz infused folk songs. Thursday, July 9 | 7–9 p.m. Admission is free and light refreshments are provided. Dutch artist Gerco de Ruijter is the Ulrich Underground artist-in-residence July–September 2015. De Ruijter is a celebrated photographer based in Rotterdam, the Netherlands. Much of his career has been spent documenting the open landscapes of the Netherlands and Iceland, though he has also made repeated trips to the American Southwest. The view of his subject is most often from above, with images unconventionally captured while skillfully piloting a kite or fishing rod. While in Wichita, De Ruijter will continue his aerial observations of the land. He will capture a 360 degree panorama image from a center pivot irrigation arm, and also launch a new project that examines the “grid corrections” along Kansas county boundaries. Our human imprint on the rural Kansas landscape provides a rich subject for innovative and engaging exploration by this important international photographer.